The Swedish furniture giant IKEA has no more hanging chairs in its range of products. 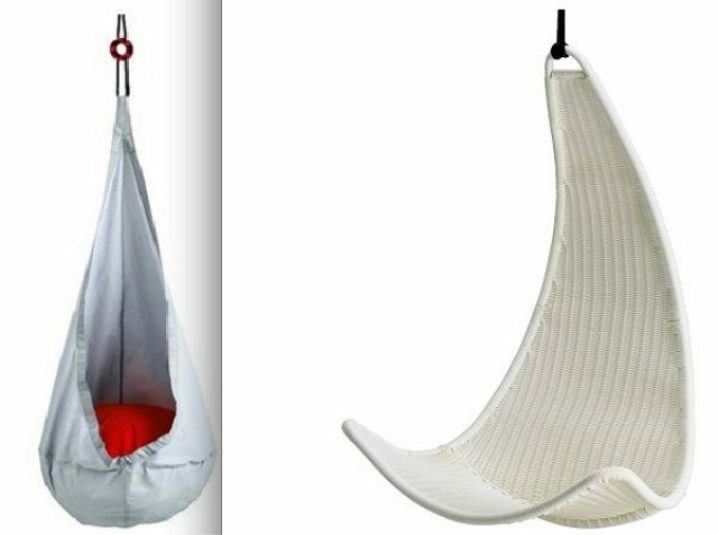 The old models are the hanging swing chair SVINGA and the hanging pod chair EKORRE for children. Nevertheless, both of these hanging chairs are still available. Here we are going to show you, where you still can buy these two hanging chairs made by IKEA. We also want to show you some great alternatives to the IKEA models. 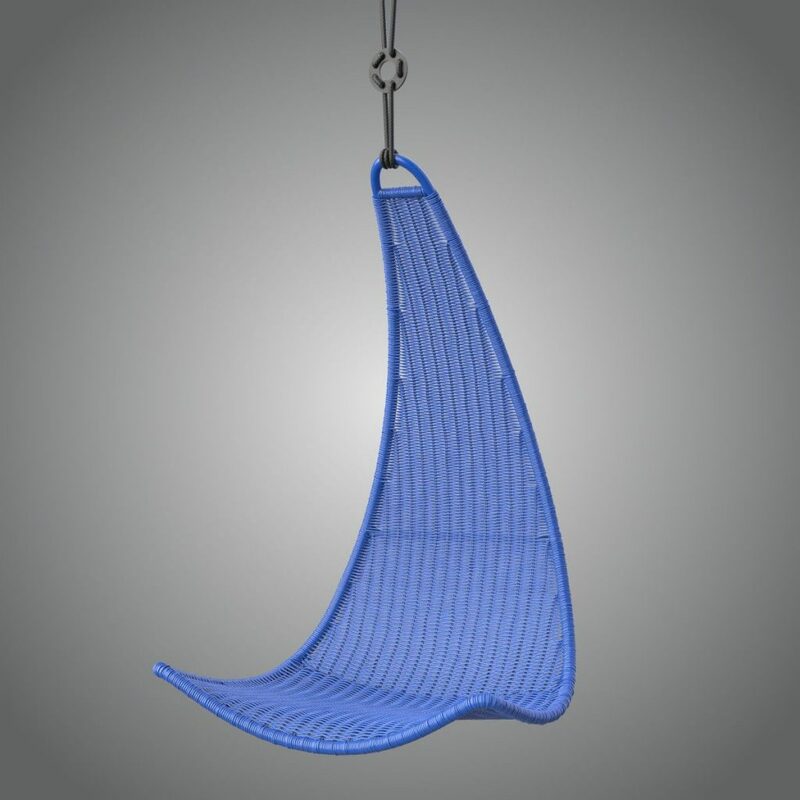 The SVINGA hanging seat was introduced into the market a few years ago and has been available in different colors. Unfortunately, since mid-2015, IKEA is no longer running it. So this charming hanging seat can only a be found as a used product: we recommend searching eBay, or to have a look at some similar models we recommend below. The SVINGA made by IKEA is a hanging seat made of synthetic wicker, which is the case for most rattan-style hanging chairs. This weather resistant material makes the chair also suitable for outdoor use. Thanks to the polypropylene rope and a sturdy ring, which are included, the hanging chair is height adjustable. However, IKEA recommends the SVINGA for indoor use and only for children. Although this model is bridely popular as a swinging chair for the whole family, it has never been officially recommended for adults. But can you also use the models as an adult? The hanging chair SVINGA has a weight capacity of 100 kg and theoretically, it can be used as a hanging chair for adults, as long as they do not exceed the maximum weight. However, it was officially recommended as a hanging seat for children and was to find in their program as a product for the little ones. The Swedish company does not offer its own frame for hanging chairs so you have two options- to suspend it from the ceiling or to buy separate a hanging chair stand separately. The rubber springs absorb the shock and reduce the stress on the ceiling fixture. A great alternative to the SVINGA is this chic teardrop swing chair made of woven resin wicker. In contrast to the SVINGA, it is also suitable for outdoors, it is nicely padded and comes with a practical frame. If you prefer a warm and natural indoor option, Natural Rattan Swing Chair by Kouboo is really worth to have a look at. Other great alternatives in different designs, colors and price ranges can be found in hanging chairs made of rattan. 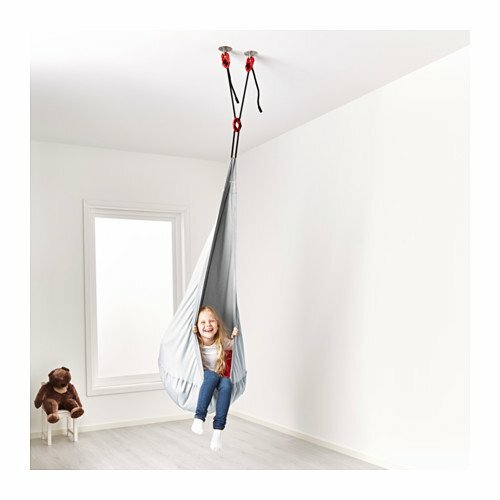 The EKORRE children’s hanging cave is made of 100% polyester and polyurethane. It is tear-resistant and easy-care, but not necessarily very pleasant to the skin and we recommend you much better alternatives. Neverthless, you can read our review for Ekorre hanging chair here. This hanging cave from IKEA is only available in gray with red cushion cover. A 3m long rope and a ring for height adjustment are included. IKEA recommends the EKORRE ceiling hooks for suspension. The weight capacity of 70 kg is thus suitable only for children. Even if you do not exceed the weight of 70kg as an adult, the hanging pod is simply too small and uncomfortable for a grown-up. There are now some great hanging caves in the market. I want to introduce two chic alternatives here. Hanging chairs from IKEA are currently unavailable and we don’t know when or if this item will be back in stock, but there are many very good alternatives out there today. Be creative! Have an amazing time in one of them! These hanging chairs reviews are purely based on our personal experience or reviews from users who are passionate about sharing their experiences. We do not sell hanging chairs nor are we in any way related to any furniture company. Our aim is to help you choose the right hanging chair and guide you to get the best deal in the market. Hope you find your perfect hanging chair with us!